The Location: The Skinner Building, downtown, 1326 Fifth Ave. 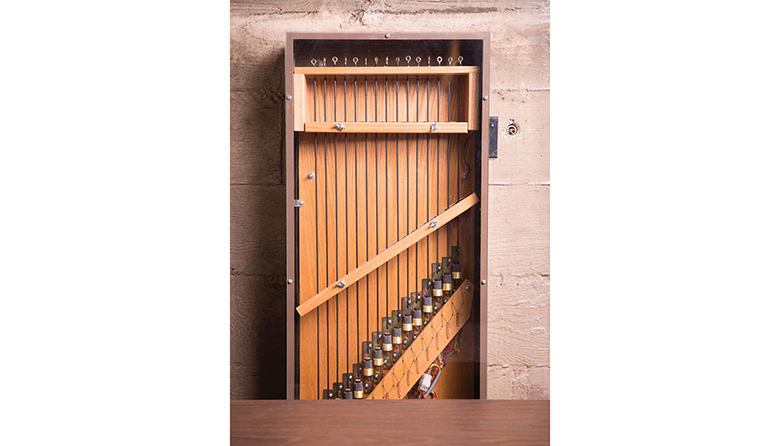 The Backstory: Each day at noon, Seattleites in the downtown area may hear chimes, yet the sound can’t be traced to any nearby church or cathedral. Listeners might be disappointed to find out that they aren’t real bells, but an electronic carillon—an automated set of chimes. They sound from atop the historic Skinner Building (a space not open to the public), at Fifth Avenue and Union Street, which houses the 5th Avenue Theatre. The chimes were installed in honor of the late David E. “Ned” Skinner II (1920–1988), a prominent Seattle investor and philanthropist involved with some of the city’s most iconic institutions (the Space Needle, the Seahawks, the 5th Avenue Theatre and the Seattle Art Museum, among others). A plaque outside the building’s Fifth Avenue entrance marks the chimes, as well as Skinner’s contributions to the city. The chimes serve as a poetic link connecting the Skinner Corporation’s properties across the region, including Carillon Point in Kirkland, a resort and marina featuring six massive bell towers that, in turn, offer a reminder of the area’s shipbuilding past, when bells were used to communicate. Back in downtown Seattle, the chimes indeed still communicate a message—one of our city’s history, and the impact of one man upon it.